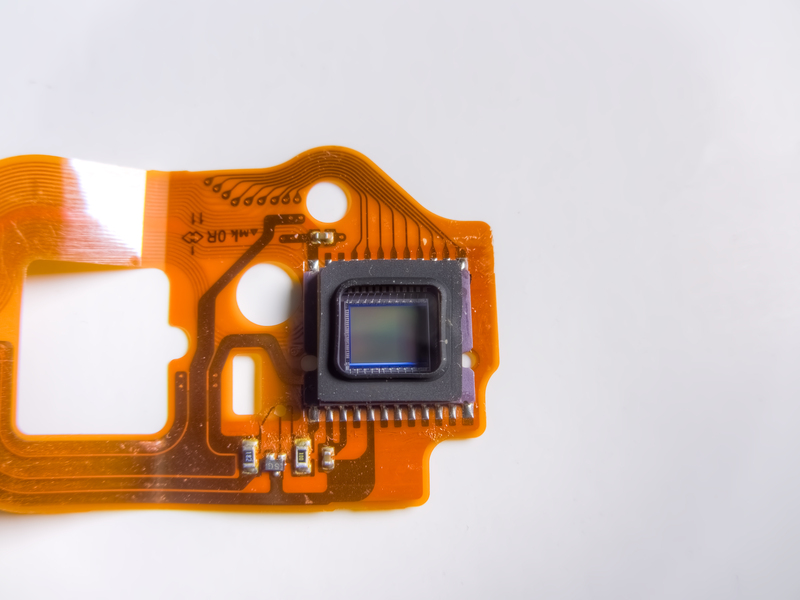 I would love to see various generation of CCD and CMOS sensors under a good amount of magnification. I took apart a few cameras a while back, mainly for some capacitors, card slots, and the backlights. Speaking of that, sorry if I haven't been on in a while. I just got promoted to a manager of a store, so now I just might be able to get some (decent) equipment! Because of the long hours (and longer drive), I won't be on as often. The lamp ballasts actually look pretty decent. They are Osram PT VIP 03 MID. There is no Vol 3, but Vol 8? It was on one of the pages shown in the video declaring 8 volumes and I sent Dave a link earlier to a US Ebay listing specifically for volume 3 but the listing states they may not ship to AUS and he may not want it anyway. I realised afterwards being slightly blinded by what was missing rather than the realisation of what he did have. Volume III was borrowed by the missus to press some flowers....? Oh look, yet another bodge! (On the PSU of the set top box.) Guess they didn't need a negative rail and wanted to make assembly simpler. I think what happened on the lighting PSU was that the transistor touched the plastic film capacitor and melted it and shorted internally. A temperature that might be fine for the transistor could be deadly for the cap, and the exact alignment (whether they touch or not) could be what makes the PSU work or fail. a) The PSU designer did a decent job of making a PSU for some combination of price and ambient conditions. b) The PSUs were then bought by a disco light designer who doesn't read datasheets and was all, "Airflow? We don't need no stinkin' airflow!" Might be possible? But it's weird that they added such a large heatsink to the output transistor/diode which is probably just a boost converter. I think the four 19N20C mosfets are being used for input rectification (see link), I thought that would still require a fairly large heatsink? I thought that would still require a fairly large heatsink? Nope. A fully-turned-on MOSFET has very little voltage drop so hardly any Watts are dissipated. I think Dave swapped the input and output connectors. Osram PT VIP 03 MID seems to be a HID ballast optimized for projection lamps. It even has a UART connection on the control board for controlling the lamp! The transformer next to the output is most likely the ignition transformer (insulated wire, multiple sections on the bobbin). The H-bridge probably generates a low frequency squarewave for the lamp. So it has almost no switching losses and only moderate conduction losses. The mosfet on the heatsink instead is probably used as buck converter for generating a constant current. Because it converts the rectified mains voltage into a lower voltage, it has quite high switching losses. They are in the wrong order and volume 3 is missing. So much for my thoughs that Dave was the product if the Christian Brother education system or similar organisation. I've noticed when tearing down multimeters, Dave always jokingly mocks the "crappy" transistor testers found on the cheap ones. Forgive my ignorance, maybe I haven't been around long enough to know why this is, but can anyone tell me for my own edification, why does Dave regard the transistor testers so poorly? It seems to just be an unneeded feature added to cheap meters to make them look fancy and more feature packed. why does Dave regard the transistor testers so poorly? One point may be that they are not needed, but more important is isolation distance. If you place a finger over the transistor socket the distance to the metal inside is less than a mm, compare that to the isolation at the test probes. Due to this a transistor tester will usual prevent any CAT rating, except the fake ones. But you don't know how many amps are running through them? Even at 3A these would be ~90C above ambient, unless I'm mistaken? Yeah that sort of makes sense, I was going off the letter which said 60VAC in and 300VDC out (Are there lights that require 300VDC?). I thought that transformer with the split bobbin was actually a common mode choke to filter the input AC. If the side with the heatsink is the input, where is the rectifier? Unless the boards DC input AC output? Anyway, still not closer to why the mosfets died, maybe the lamps just pull too much current? b) They're a sure sign of a crap multimeter. When you see a transistor tester you know you're in for a laugh if you open up the meter and look inside. Rds(on) is 0.12 Ohms - higher than I expected for a MOSFET. 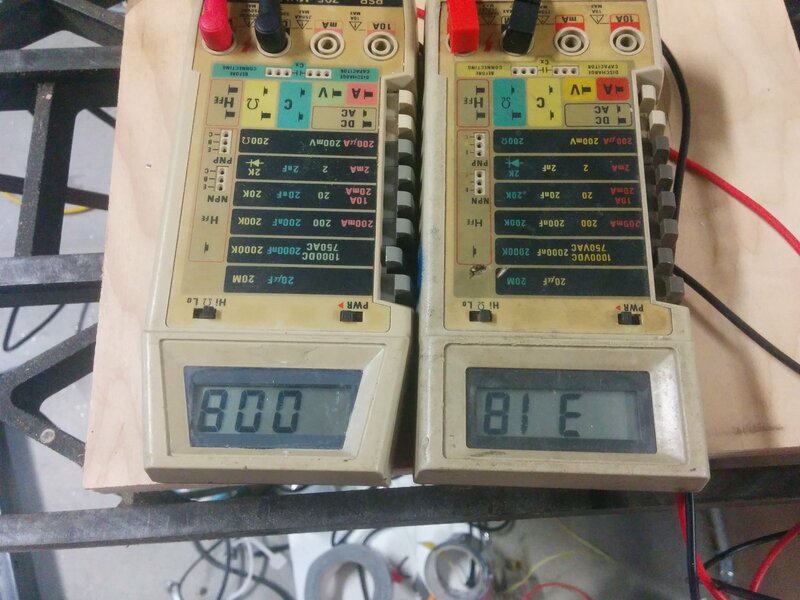 Let's do the math then: At 3A the voltage drop across them is 0.36V. 0.36V at 3A is a bit more than 1W of power dissipation. Wikipedia says "When a TO-220 package is used without a heatsink the heatsink-to-ambient thermal resistance in air for a TO-220 package is approximately 70 °C/W", so ... 90°C is in the ballpark, yes. The datasheet says their operating temperature is up to 150°C so they'll be OK with that dissipation in open air. I guess it's all down to the airflow inside the lamp but you're probably right; those particular MOSFETs need heatsinks. In a h-bridge only half of the mosfets are active at the same time, so the avarage power power dissipation is 0.5W per mosfet. That's ok without a heatsink. I can not find any datasheet or other informating for the ballast or the lamps. The ignition transformer is completely potted with the output wires attached. PT VIP 03 MID seems to be mainly being used in video projectors. Typically there is a PFC on the main power supply with a 350-400Vdc output going to the lamp ballast. Maybe the ballast requires forced air cooling, beause is it anyway necessary for the lamp.